There is talk throughout the Mohawk River house of a weekend trip to Paris soon… This reminds me of how much I love Parisian apartments with their grand parlors & ornate detailing. In my opinion, the juxtaposition of modern accents within storied walls is a winning combination. B&B Italia’s photoshoot for Maxalto perfectly juxtaposes a preserved plaster shell. The simplicity of the architecture works with their contemporary line. Note how the brass detailing brings warmth to a white Interior. This is a nod to historical relevance, as well as adding a collected “layer” to the room. Happy Holidays! Here’s a roundup of my favorite things this season. Thank you for reading, and for your emails. Here’s to a prosperous and Healthy New Year! 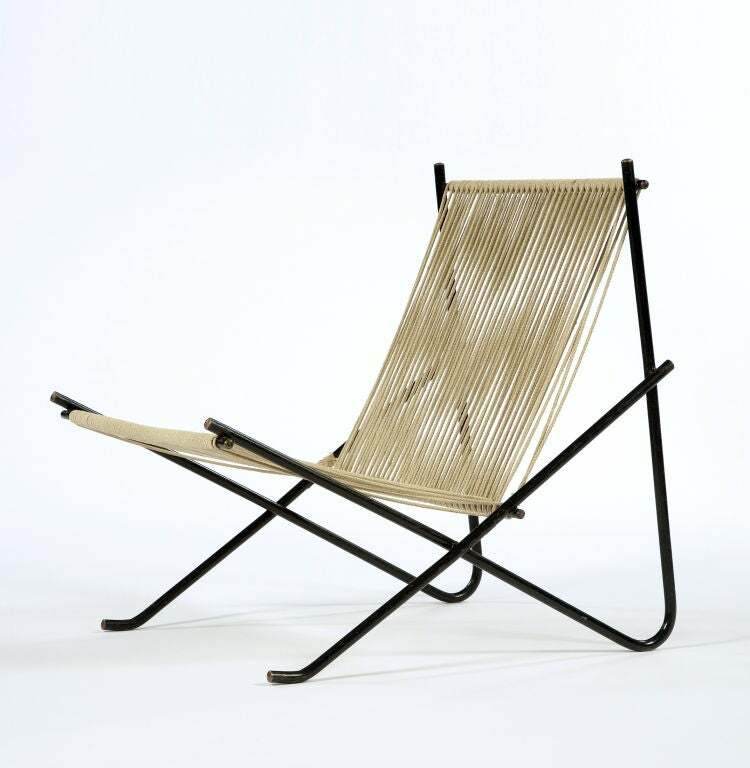 The Holscher Chair by Poul Kjaerholm, 1952. “Holscher” chair by Poul Kjaerholm, 1952. Available at R Gallery, NYC. Carlos Huber’s collection of historical fragrances, Arquiste. My sweet friend Carlos Huber’s collection of historical fragrances, Arquiste. Jim Zivic’s Coal Bench, with a Molten Pewter Pour. Souk, the African Collection by Ben Soleimani for Mansour Modern. 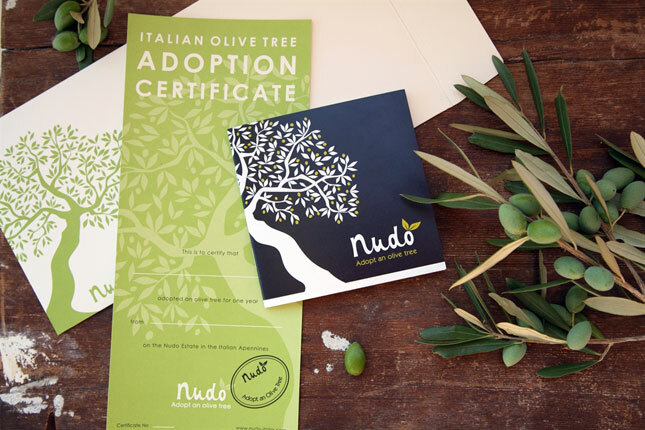 Brit’s Excellent Ideas for Parental Gift Giving! My friend Brad Ascalon’s Menorah for DWR. The Hermes Home Fabrics Collaboration with Dedar. The Hermes Fabrics & Wallpaper Collection with Dedar. Sarah of Remodelista.com’s post on Red Doors! Sarah of Remodelista.com’s post on Red Doors. My Bath is My Meditation. For as long as I can recall, my bath is a well-deserved daily ritual. It’s an instant, enveloping experience that, even for just a few minutes, is all mine. My husband hates how our magazines end up wrinkled with moisture, and blames me for ruining books. And yes, my electronic devices have suffered due to my choice of meditation. I’d love to say “I do yoga everyday”, or “Yes, my personal trainer comes over twice a week at 6am”. Sometimes, the bath just has to make do. Below are some sophisticated designs from British based company Victoria & Albert. V&A tubs are made of volcanic limestone mixed with resin, and have a 20 year warranty. I just purchased the Toulouse for my master bath project in Tribeca. The Japanese Soaking Tub is a different kind of bathing experience; the tubs are shorter width, but much deeper. These are commonly called “Ofuro” in Japan, and are traditionally made of wood. They are commonly identified by their square of rectilinear shape with no sloping sides. Note how the texture on the walls contrasts the clarity of the water. It is lovely experience for a vacation destination. I love the contrast of the herringbone floor against the ornate Rococo era doors. Gorgeous! This designer loved the bath so much, it has become it’s own room. Slab Yard to EB = Kid in Candy Shop. EBI is currently working on two design/decoration projects which require hand-selected slabs. One is a kitchen renovation on the Upper West Side, the other a Master Bath in Tribeca. For months I have been searching for an elusive marble that goes by many names. Some call it Breccia Capraia Verde, others Calacatta Panouzza. I’ve even heard it referred to as Breccia Carrera. I love this stone because it’s natural qualities mimic an abstract watercolor; it has a very white field with an almost Klimtian stroke. Attached are some images I researched on the internet before finally locating a few slabs. I feel like I have won the lottery! This stone needs a real name. Based on all the time/energy I have put into finding it… perhaps we’ll just call it Capraia Elizabeta from now on. I love how there is a natural outline in purple/black accententing the colorful streaks. It’s a nice alternative to Calcatta Gold or Statuary Marbles. Note how the designer of this table chose to place the colors on the sides, allowing the pure whiteness to play an equal role in the purity of the piece. I wish I knew who made this to give credit where credit is due. Here is the slab I selected yesterday. I will focus on this linear pattern, running horiontally on the bias for the kitchen island. There is just enough pattern to make a sophisticated statement, but will not overwhelm the kitchen by allowing the white to breathe on its own in form. I will post photos once our construction begins! We, as artists, are constantly inspired by each other. We take cues from all mediums, from graphic design to photography, from music to sculpture. 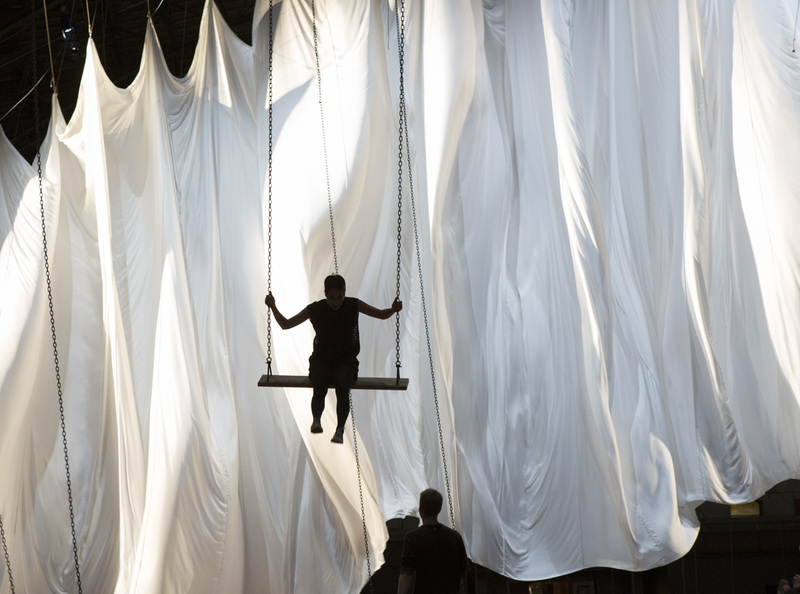 Yesterday I had the pleasure of experiencing Ann Hamilton’s installation “The Event of a Thread” at the Park Avenue Armory. The artist concocts an intricate pulley system that interconnects swings, bells, pulleys, and an enormous white sheet. The largescale swings reminded me of memories as a young child. Many people enjoyed the installation lying down directly below the billowing sheet. Additionally, the graceful arch of the armory was accentuated by the undulating sheet. Albeit temporary, the sheet became it’s own architectural element in an ethereal, weightless way . She also manipulates nature by putting pidgeons into cages whilst actors read Aristotle from long, handwritten scrolls. 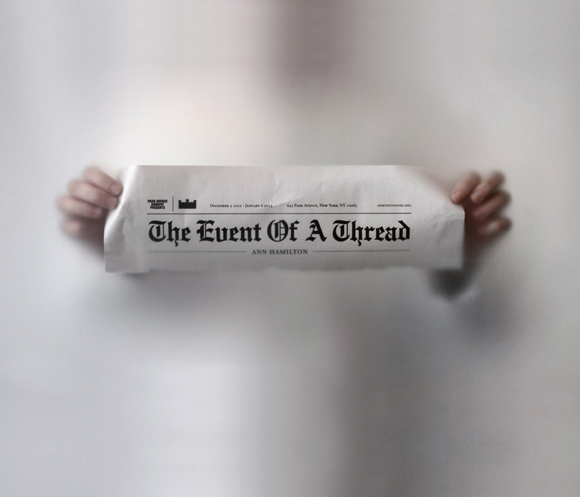 The Event of a Thread, an installation by Ann Hamilton. Below is a slideshow courtesy of the NY Times of the installation.